Fireside Fajitas are on the menu this week. Hot, hot, hot! Slice steak or chicken into thin strips, then put all ingredients in a foil bag or heavy duty foil, seal edges and place on rack over campfire coals. Let cook inside the bag for 20 to 30 minutes. Serve rolled up in warm soft corn or flour tortilla. Add your own toppings; cheese, sour cream, etc, and then devour! 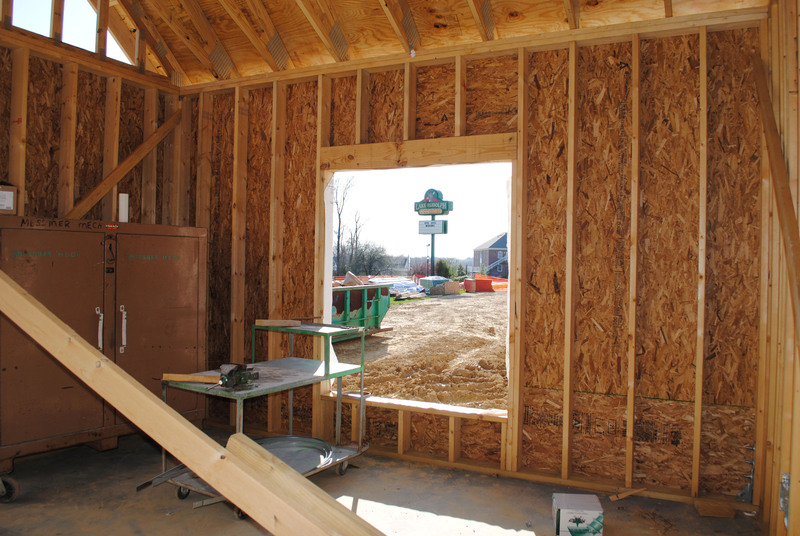 The new office is starting to take shape … we have dormers! Rudy’s recipe this week is Cinnamon Bears. Yesterday, Dave (our marketing director) and I traveled to Evansville to be on the 14Xtra segment on WFIE Channel 14. We took some items from our campstore for show and tell and gave some camping tips to kick off the season! We had fun. 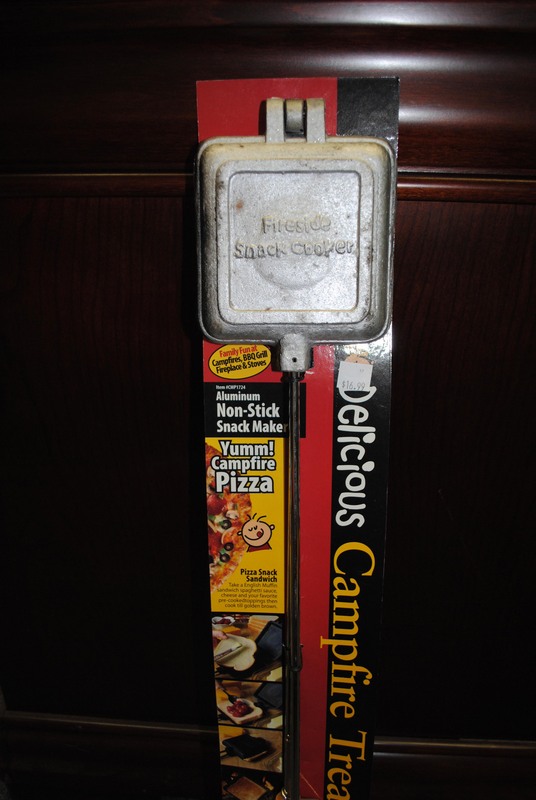 One of the items that we took to share was a snack and sandwich maker. Dave mentioned before we went on air that he uses it to make Cinnamon Bears. That started a conversation with the anchors and then we ended up talking about it on air. Here’s how you make ’em! Lay out all the biscuits. Roll them until they are about 2 inches around and 2½ inches long. 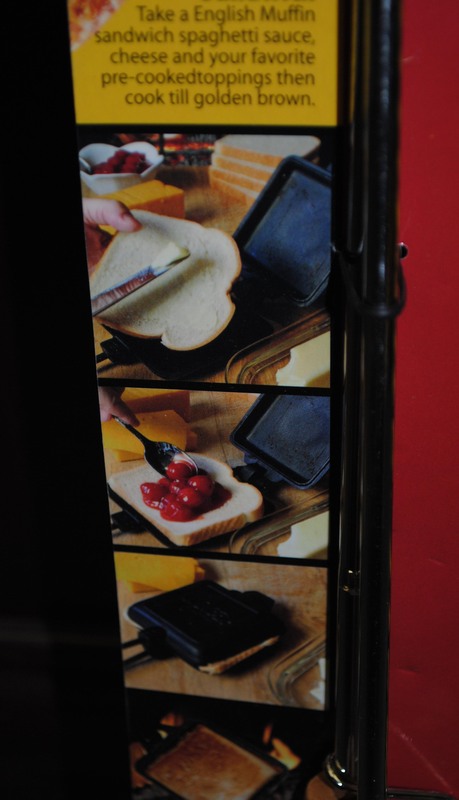 Next, put three biscuits in the snack & sandwich maker and put them over your campfire. Keep them on one side for a bit and then flip them over … you’ll have to watch them carefully and judge when they start to resemble normal biscuits. Once they’re ready remove them from the fire and take them out of the snack maker. Pull them apart. Squeeze the butter over each one; make sure it the butter covers both sides. Sprinkle your desired amount of cinnamon and sugar over them and enjoy. We’re sure you’ll be just fine with having these little bears at your campsite! We like to know what our visitors like, and yes, even what you don’t like, about our park. So along that line, I’m curious to know what everyone’s favorite activity is during HalloWeekends. Is it the dance? Site decorating? It’s all the trick-or-treating right? 🙂 Cast your vote below! Breakfast burritos are on the menu this week for Rudy’s Recipe. At Home: Cook breakkfast sausage or bacon. If you use bacon, crumble it into smaller pieces. Scramble the eggs with tomatoes and green onions and cook thoroughly. Cook hash browns as directed on package. Mix sausage or bacon, scrambled egg mixture and hash browns. Preheat a few tortillas in your microwave at home, spoon out generous portions of the mixture on a softened tortilla, add cheese and roll it up. Wrap it individually in aluminum foil. You can then freeze them if you would like; they keep well. At Your Site: To cook, place them on a grill surface over the camp fire. Look for the tortilla to be slightly brown and crispy. Add sour cream, salsa and hot sauce … viola! Each year, one of our local TV stations, WNIN Channel 9, holds an auction to raise funds. Businesses in our surrounding area donate great items which are then auctioned off live on TV. We’re telling you ’bout this because Lake Rudolph Campground & RV Resort has donated a five night stay in a King Size Rental RV! Yes, you did see that correctly … five nights. That’s a nice vacation right? The certificate is valid anytime during the 2010 season, but you must make reservations in advance. And you’ll need to bring the certificate with you when you check-in. The WNIN Action Auction starts tomorrow and takes place April 13 – 17 and 20 – 24 from 6:00 to 10:00 p.m. Central Time. You may visit their Facebook page for a preview of the various items up for auction. Our campfire recipe for this week is Fire Pit Potatoes! Thinly slice potatoes and layer them in the foil spreading them out as you go down in a row. Put pats of butter on the top then sprinkle with salt, pepper and creole seasoning if desired. Thinly slice onions on top. Fold together and make little pouches. Put on the fire and let them cook approximately 15 minutes. Cook longer if you like them crispy. The roof is going up! The stairs are that lead up to the conference room are also in. I was able to climb ’em and get some shots of the second level before parts of it are framed in. On that level will be a conference room, but it will mostly be used for extra storage. I liked this photo because of the view of our sign through the window. Rudy’s recipe this week combines two favorites … pizza and the grill! You can’t go wrong. In a bowl, dissolve yeast in warm water, and mix in sugar. Proof for ten minutes, or until frothy. Mix in the salt, olive oil and flour until dough pulls away from the sides of the bowl. Turn onto a lightly floured surface. Knead until smooth, about 8 minutes. Place dough in well oiled bowl and cover with a damp cloth. Set aside to rise until doubled, about 1 hour. Punch down and knead in garlic and basil. Set aside to rise for one more hour, or until doubled again. Preheat grill for high heat. Heat olive oil with garlic for 30 seconds in the microwave. Set aside. Punch down dough and divide in half. Form each half into an oblong shape 3/8 to 1/2 inch thick. Brush grill grate with garlic flavored olive oil. Carefully place one piece of dough on hot grill. The dough will begin to puff almost immediately. When the bottom crust has lightly browned, turn the dough over using two spatulas. Working quickly, brush oil over crust and then brush with 2 tablespoons tomato sauce. Arrange 1/2 cup chopped tomatoes, 1/8 cup sliced black olives, and 1/8 cup roasted red peppers over crust. Sprinkle with 1 cup cheese and 2 tablespoons basil. Close the lid and cook until the cheese melts. Remove from grill and set aside to cool for a few minutes. Note: you may use any of your favorite pizza toppings. Be creative!